If you’re still in college, then you’re in luck—you have the power to significantly impact your post-grad life, and a world of opportunity is at your feet! Whether you're a freshman this fall or a soon-to-be graduating senior, use this precious time to your advantage. When you graduate, there will be millions of your peers at your side, vying for the very same job positions that you so desperately desire. Often, there are hundreds of qualified, experienced people applying for the same position. We promise we’re not trying to scare you... we just know how important it is to stay practical and plan ahead. There are things you can do NOW to stand out later. 1. Take part in writing-related extracurricular activities and internships. Many colleges offer a range of writing opportunities outside of the classroom, such as a school newspaper (print and online), alumni magazine, literary magazine, etc. If you can, try out a variety of roles in a couple of publications. Sign up to be a reporter, and the next semester, try out an editor position if you can. Not only are these excellent things to have on your resume, but this is also a great way to determine what kinds of positions you would like to pursue after graduation, and what topics you’re truly passionate about. Do you get bored editing the work of others? Do you enjoy in-person interviews with people? These are the kinds of questions that will help you narrow your search once you start looking for a job. Participating in an internship program is another important component of your undergrad experience. (It may be the case that internship employers will want to see that you’re active on campus, in which case those previously mentioned activities will come in handy.) An internship will provide you with a different type of work experience that will be even more useful when it’s time to buckle down and search for a post-grad job, and it may be as close to the ‘real world’ you will get during college. It’s an excellent thing to have on your resume—it shows potential employers that you’re serious about pursuing a career in a given field. 2. Don’t just stick to writing—participate in a wide variety of extracurriculars. Whether it’s Greek life, Amnesty International, fencing club, Habitat for Humanity, the sailing team or belly dancing club, it’s a good idea to involve yourself in something that’s not necessarily related to writing. 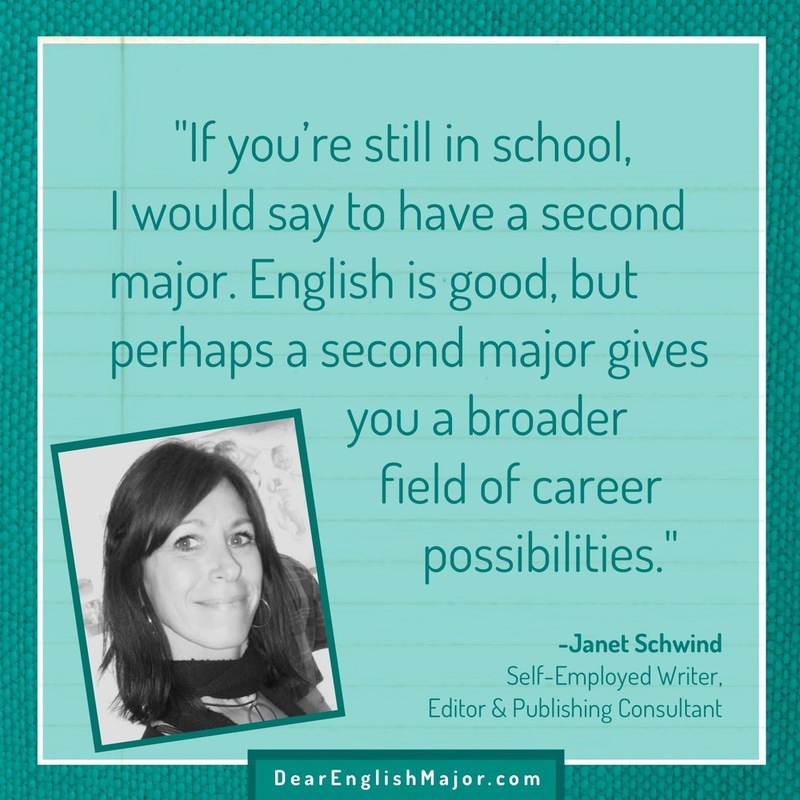 As you probably remember from back when you were applying to college, it’s important to be well-rounded (on your resume, but also just in, ya know, life! ), and the various experiences you have as a result of being involved will absolutely help you as a writer. After all… what the heck are you going to write about if all you do is… write? 3. Take the time to network. Some people won’t touch the word “network” with a ten-foot pole—the word as we know it in the job search world conjures images of awkward small-talk and exchanges of business cards. When we refer to “network” here, we’re really just encouraging you to meet new people and make some friends. Doesn’t sound so bad, right? Talk to that person in your geology class who is outside your normal social group, ask your professors questions during office hours, make friends with the receptionist at your internship, etc. In many cases, jobs, internships and other work opportunities happen via word-of-mouth and through personal connections and recommendations. We’re not encouraging you to be fake or to use people, but by expanding your social group, you will naturally expand your “network” and scope of opportunities. One of the best things about going to college is meeting like-minded folks who share the same interests you do, as well as meeting new people who will help you expand your view of the world and life in general. Take advantage and make some lifelong friends! 4. Graduate with a portfolio. Those clips you wrote for the school newspaper, that press release you wrote for your internship, and the newsletters you made for your fraternity house will definitely come in handy! 5. Further your education OUTSIDE of the classroom. Most college courses aren’t going to go over things like grammar, punctuation, and the AP Stylebook, but it’s important to review these things on your own to keep your writing fresh and professional. 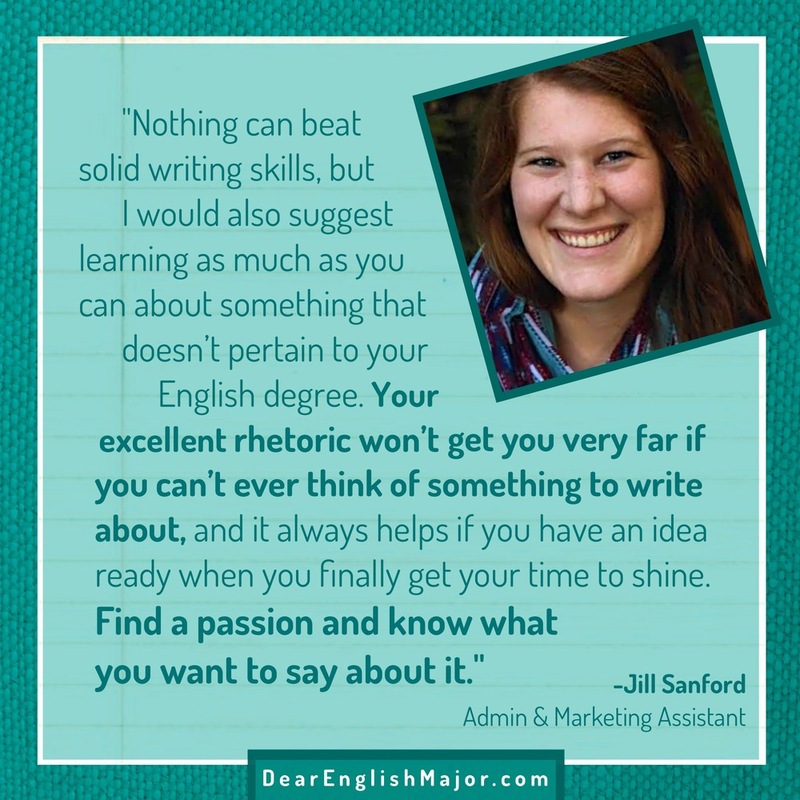 Alyssa W. Christensen lives in Seattle and is the founder of Dear English Major. 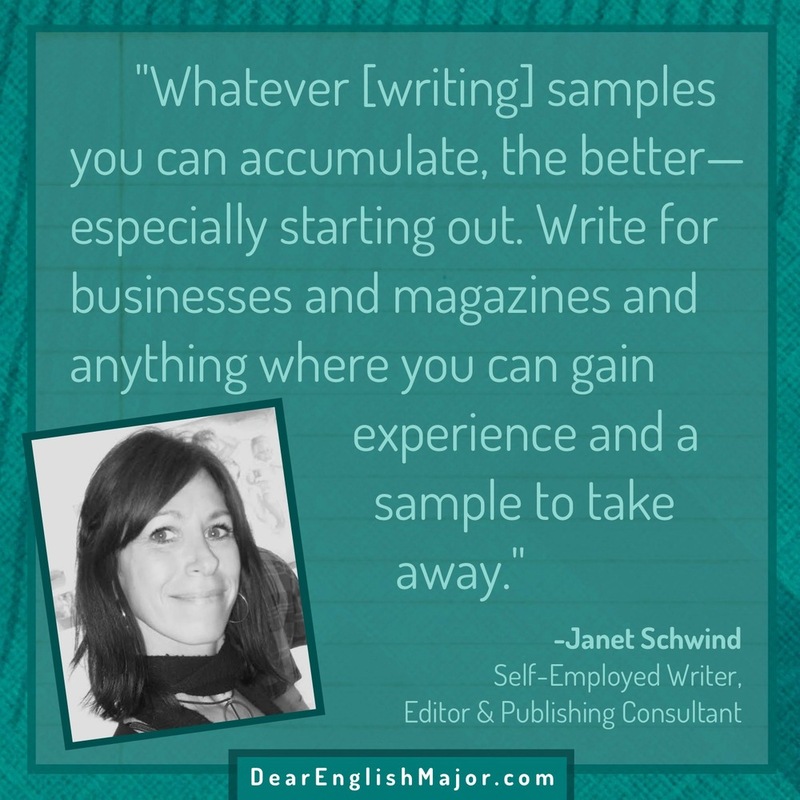 Her full-time freelance career consists of providing writing, editing, and marketing services to small businesses. When Alyssa isn't helping businesses improve their online presence, she enjoys exploring Seattle's culinary delights with her husband, catching up on her favorite blogs, and working on her latest craft project. Posted on September 16, 2014 by Alyssa W. Christensen and filed under Articles, Featured Articles.